The Ecosystems Knowledge Network is a recognised leader in sharing knowledge about how the environment is managed as an asset for all of society. We partner with organisations, networks and initiatives across the UK to deliver activities that benefit our members and others. We are currently inviting Corporate and Lead Partners to join us in our work to ensure that local environments throughout the UK are regonised for their contributions to the health, wellbeing and prosperity of all. We have opportunities for organisations large and small. Read more about our opportunities for Corporate and Lead Partners. Countryscape joined as our inaugural Corporate Partner in 2016. Countryscape is a multi-disciplinary company, combining the creative skills of a communications agency with the scientific knowledge of an environmental consultancy. eftec (Economics for the Environment Consultancy) is a leading environmental economics consultancy in the UK, providing economic analysis for sound, effective and sustainable environmental policy and management since 1992. Tideway is the company delivering the Thames Tideway Tunnel. 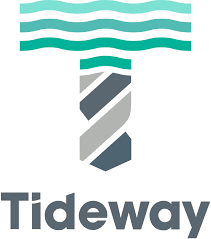 It is owned by a consortium of investors, and more than two million pensioners have an indirect investment in Tideway though UK pension funds managed by those investors. In the year 2016 to 2017, we were pleased to have Scottish Government as a lead partner. Read more about those who have supported the development of the Network since its launch in 2011. JNCC for its contribution in developing Tool Assessor and the Natural Environment Research Council for providing an Innovation Internship for its further development. Oxfordshire Social Enterprise Partnership for granting us a Community Award in 2015 (funding provided throuth Innovation Support for Business). The UK Foreign and Commonwealth Office for funding our two workshops in 2012 on the InVEST toolkit.